I Can't Marry My Mister Without My Sister Will You Be My Bridesmaid? A sweet bridesmaid proposal that says it all! • 11oz white mug, or 11oz white mug with black handle and rim. • Mug size, style & the bridal party title are in the drop down menu. 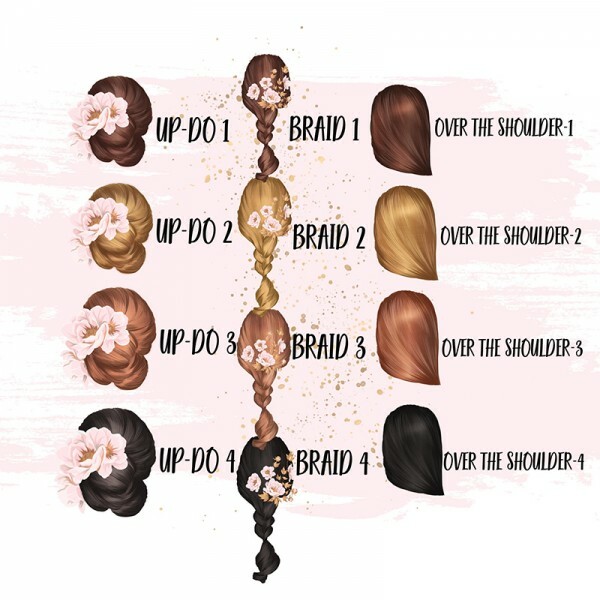 • Note hair style/color (As shown in Picture 3), name and wedding date to seller box when checkout. 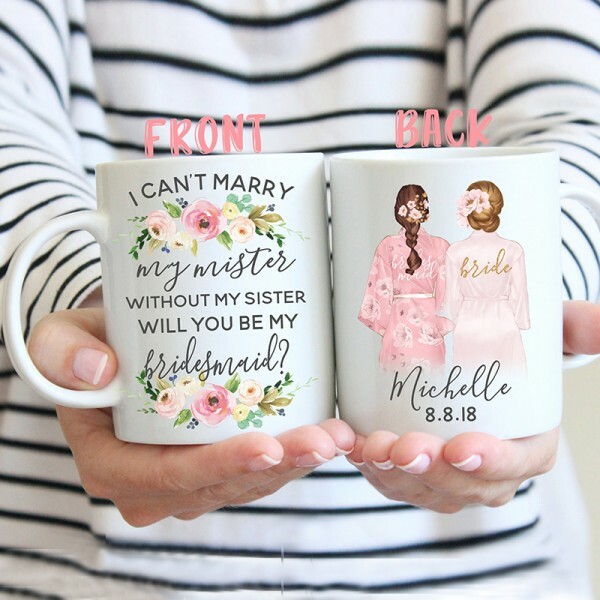 Question about Personalized Bridesmaid Mug is Successfully Submitted.